About Vegan Niinja - simply & healthy vegan recipes that taste amazing! Hello and welcome to my blog Vegan Niinja. My name is Niina and I am a vegan from Sweden currently living in Austria (all recipes are also in german). I am the recipe creator, food stylist, writer and photographer for Vegan Niinja. All my recipes are made with high quality products, 100% vegan, soy and refined sugar free. I love to create new kind of cakes, raw desserts and breakfast . I strive to use organic products as much as possible, to get the best taste and feeling while enjoying my food. My blog is all about healthy vegan desserts and breakfast ideas. Here you will find my best recipes that are easy to make and loved by everyone. My biggest passion is to create new delicious recipes that are vegan and refined sugar free. You will find many recipes that are raw and gluten free. 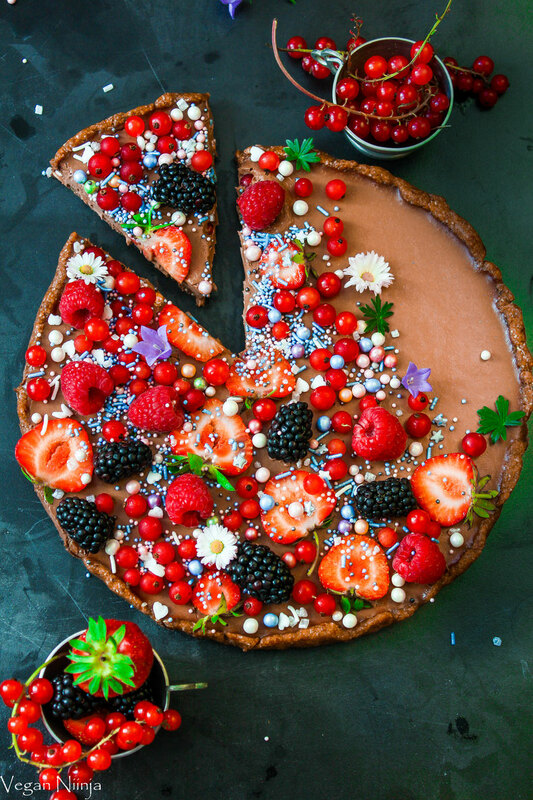 I love to make no-bake cakes (check out this mango-chocolate cheesecake!) and use gluten free flour, but I am also a big fan of baking. I stopped eating meat when I was 6 years old. When I was a teenager I went vegan for the first time for about 3 years. Since then I have had periods of being a vegan and vegetarian, but decided to become a full time vegan when my son was born 2016. This was my best decision ever! I feel a lot more healthy and the guilt of eating milk products disappeared completely. My son is a vegan since birth. All my recipes are in english and german! If you wish me to create something special or if you have any questions or feedback, write me in the comments or leave a message here! Please note: all pictures on my homepage are mine.